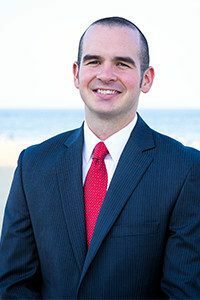 Thomas Casey Mullooly is an Investment Advisor Representative at Mullooly Asset Management, Inc.
Like his brothers, Casey received his Bachelors Degree from York College of Pennsylvania. Casey also joined the same fraternity at YCP and quickly rose through the ranks to become a leader, even participating in national leadership conferences while in school. Despite being extremely active in fraternity and sports in school, Casey maintained very high grades. And Casey also achieved something very special: he was able to transfer into York College, and still complete his degree work within four years, a difficult task! Armed with his business degree, Casey joined his brothers Brendan and Tim, and now works alongside them and their father in the family business. Casey charts several hundred stocks by hand after the stock market closes each day. You may have already seen Casey on some of our educational videos and heard him on our podcasts. Casey focuses a great deal of his time on topics like Relative Strength. That is, learning (through charting) which asset classes are rising and falling faster than the overall market, or their peer group. Casey began his Point and Figure charting education while working in the business over several summers in high school and through college. Like his brothers, Casey also made “guest appearances” in the old company newsletters as well. In his free time, Casey roots for his favorite football team, the NY Giants and is a massive Mets fan as well. Casey is also a low-handicap golfer, as well as a dedicated P90X fitness buff.